Carnival Eats | TV, eh? It could be the A-story in an episode of The X-Files. The tale of a man who, in 1980, announced to his friends and loved ones that he was leaving Earth aboard a UFO and would return in a few months and then disappeared. But rather than being the stuff of “Duane Barry,” the Season 2 episode of Fox’s sci-fi drama, this story really happened. At least, two-thirds of it. I have gone away to walk aboard an alien spaceship as recurring dreams assured a 42-month interstellar voyage to explore the vast universe, then return. I am leaving behind all my possessions to you as I will no longer require the use of any. Please use the instructions in my will as a guide to help. Now, almost 40 years later, Alibi Entertainment—the folks behind shows like Carnival Eats and Sarah Off the Grid—sit down with Granger’s family and friends to look back at his life and reflect on the rumours and reports surrounding his whereabouts. “One of the things that became really obvious right from the beginning that made this stand out from your average story that might not be true was just how current a topic this still is on Vancouver Island,” says executive producer Jennifer Horvath. “It’s been this unanswered question in a smaller community and has stayed in people’s minds.” What isn’t disputed is that Granger was a technical genius. From disassembling cars to building an airplane and steam engine, Granger’s social skills were lacking but his ability to build things wasn’t. Through interviews with Granger’s sister, Grace Anne Young Reynolds, and close friends Robert Keller and Darrin Manns, viewers learn the details of his life and untangle the theories behind his disappearance. A journalist, Tyler Hooper, digs into the official record to separate fact from fiction. Among the things unearthed by Horvath and her team are Granger’s mental health—something simply not discussed in the 80s—and drug abuse. But before making the mistake—like I did—and assuming the case of this missing man was simply one to do with his state of mind, “Spaceman” delivers two earth-shattering revelations you’ll shake your head at. “Spaceman” airs as part of CBC Docs POV on Friday at 9 p.m. on CBC and CBC Gem. Images courtesy of Alibi Entertainment. Debuting in spring, new food competition series Fire Masters puts teams of open-flame fanatics in a battle for fire supremacy and a cash prize. In every episode, three teams of chefs face off in three culinary challenges, pushing their talents to the limit to cook up mouth-watering flame-kissed dishes. One team is eliminated in each of the first two rounds and the last team standing faces an epic throw-down with a Fire Master’sjudge. The final team has a chance to walk away with $10,000 and the coveted Fire Master title (produced by Architect Films). Esme & Roy are best friends – and the best monster-sitters! This pre-school series brings little viewers along on relatable monster adventures and is packed with playful learning, humour, heart, and musical monster-y fun (produced by Nelvana in association with Sesame Workshop). Corus Entertainment continues its commitment to investing in Canadian original content with renewals of fan-favourite series across its suite of networks, including HGTV Canada’s Backyard Builds, Love It or List It Vancouver, Property Brothers, Property Brothers: Buying and Selling, $ave My Reno and Worst to First; Food Network Canada’s Carnival Eats; and Global Television’s Border Security: America’s Front Line. Today’s renewals follow Corus Studios’ recent MIPTV greenlight announcement of new Canadian series slated for launch in 2018/2019. Additional series renewals and greenlights for Corus’ roster of networks will be announced at a later date. Backyard Builds showcases the endless opportunities outdoor areas can provide. Contractor Brian McCourt and designer Sarah Keenleyside work with homeowners to extend their living area outdoors by creating one-of-a-kind structures and clever designs. Backyard Builds is produced by Frantic Films in association with Corus Studios for HGTV Canada. Love It or List It Vancouver showcases families in B.C. who are struggling with homes that no longer suit their needs. Whether they’ve outgrown the home they once loved or the luster has worn off, homeowners are faced with the dilemma of whether they should love it or list it. Each episode features interior designer Jillian Harris pitted against West Coast realtor Todd Talbot as they implement their plans to battle it out for the homeowners’ allegiance. Love It or List Vancouver is produced by Big Coat Media in association with HGTV Canada. Canadians Drew and Jonathan Scott have become household names in real estate and home renovation. In Season 7, Drew and Jonathan help out couples in Calgary and Las Vegas to find, buy, and transform extreme fixer-uppers into incredible dream homes. First, real estate specialist Drew tracks down hidden gems with untapped potential, and then it’s up to identical twin brother and contractor Jonathan to expertly overhaul these ramshackle properties. Convincing homebuyers to take a radical risk is their first challenge, then they’ve got to deliver ambitious renovation projects on time and on budget. Property Brothers is produced by Cineflix in association with HGTV Canada. In Property Brothers: Buying and Selling, Jonathan and Drew Scott help homeowners take their next step up the real estate ladder. Jonathan renovates the family’s home for a successful sale, while Drew hunts down the best options for their next property and oversees the selling and buying. Property Brothers: Buying and Selling is produced by Cineflix in association with HGTV Canada. Cash-conscious homeowners catch a break when Sebastian Clovis, the savvy contractor, and Sabrina Smelko, the resourceful designer, toss out overpriced reno quotes and make dreams come true. Sebastian and Sabrina save through smart spends, upcycling, DIY and putting homeowners to work. With their contagious energy, together they give homeowners the reno they want, on a budget they can afford. $ave My Reno is produced by Great Pacific Media in association with Corus Studios for HGTV Canada. Worst to First sees best friends, professional contractors and brothers-in-law Sebastian and Mickey take on the challenge of transforming the most undesirable house on the block into a stunning forever home. Worst to First is produced by Great Pacific Media in association with Corus Studios for HGTV Canada. Hosted by Noah Cappe, Carnival Eats gives audiences an inside look at the mouth-watering and outrageous foods famously found at fairs and carnivals, the wacky characters who create them and the culinary thrill seekers who devour and delight in them. Carnival Eats is produced by Alibi Entertainment in association with Food Network Canada. Securing the longest border in the world is the work of the men and women of US Customs and Border Protection. Season 2 of Border Security: America’s Front Line follows CBP officers as they search for illegal travelers, weapons, and contraband. Guns, drugs, money and more – it’s all in a day’s work. Border Security: America’s Front Line is produced by eOne Entertainment (eOne) in association with Global Television. 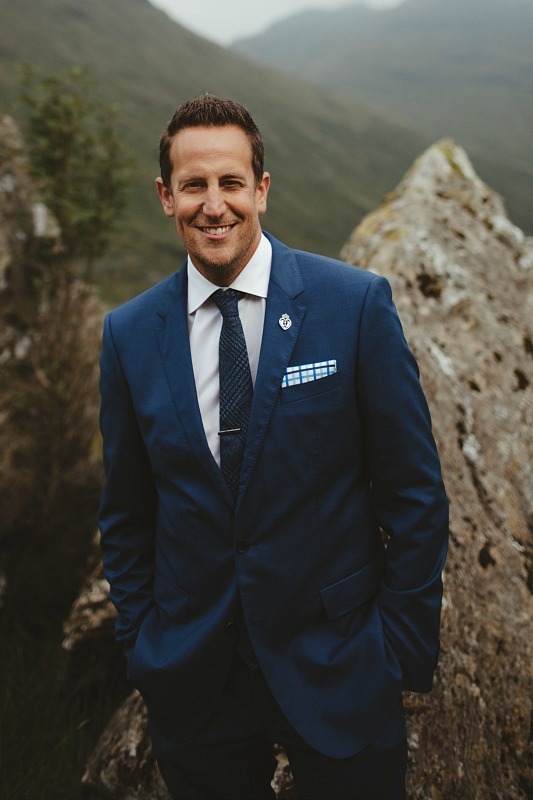 Noah Cappe comes by his love of food naturally. The lanky Toronto actor (Bitten, Being Erica) is part of a large family that went on road trips to carnivals and is the guy who orders a second deep-dish pizza on a night out with friends. Cappe is therefore the perfect guide to the culinary craziness that is Carnival Eats. Debuting Friday on Food Network, Cappe travelled across North America challenging his mouth (and waistline) with some of the most inventive and outlandish foods offered at country fairs and summer spectacles like Toronto’s Canadian National Exhibition. “I stopped coming here in my 20s,” Cappe tells us from the CNE Food Building where cameras are rolling on an upcoming episode. “And then the deep-fried butter happened and people were going crazy. 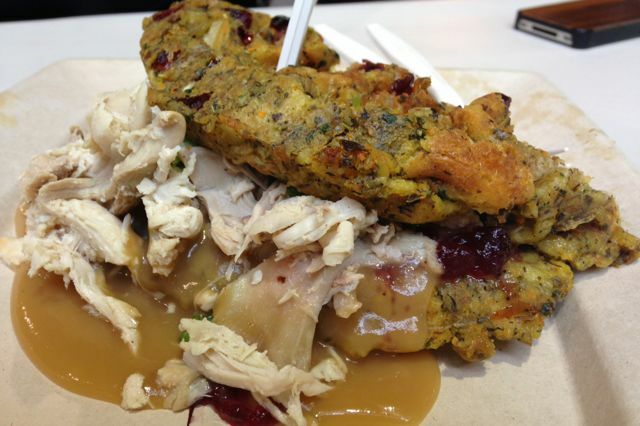 That was ground zero for popularity in the CNE food taking off.” Cappe and Alibi Entertainment staked out space at Fran’s Restaurant kiosk, where he was learning to construct the Thanksgiving Waffle, a savoury plate boasting turkey and gravy piled on top of a waffle made out of stuffing. The iconic stop represented the last day of filming on a four-month journey for Cappe and the crew; 13 half-hour episodes represent Season 1 and showcased the Ohio State Fair, Miami Dade State Fair, Edmonton’s Klondike-Days Fair and the Calgary Stampede, to name a few. Friday’s debut spotlights Virginia Beach’s Pungo Strawberry Festival where Cappe samples strawberry shortcake and strawberry arugula pizza, and Guthrie’s ’89er Days Festival where he partakes in chocolate-dipped Belgian waffles on a stick and a breaded pork tenderloin sandwich so big the meat can be used to fan hot customers as they walk through the midway. Cappe is able to combine his love of improvised conversation with a love of food and he’s not afraid to get dirty in the name of good television, talking to vendors with dollops of sauce on his face. And while the goal of Carnival Eats is to showcase the foods–outrageous (scorpion pizza!) and otherwise (deep-fried Oreo cookies! )–available for consumption at these fairs, it serves to celebrate the people who bring it to the masses. Carnival Eats airs Fridays at 9 p.m. ET/6 p.m. PT on Food Network.